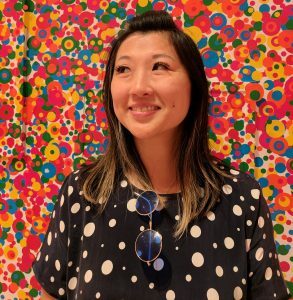 Grace Chin is a Vancouver, British Columbia-based creative writer and editor, performer, producer, arts administrator, and content marketing specialist. Together with Kathy Leung, she is co-founder of the Pan Asian Staged Reading Society for script development, which produces the seasonal staged reading event, Scripting Aloud. 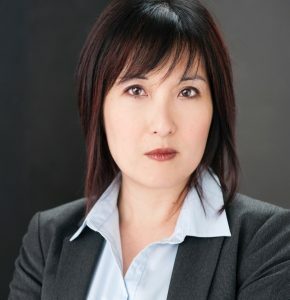 As a performer, Grace has appeared on episodic series for ABC, CBS, CW, E!, Showcase, Hallmark, and most recently the CBC as well as Netflix, and in the feature film “Age of Adaline.” Previously, she served on the board of Vancouver Asian Canadian Theatre and was Festival Director of the Vancouver Asian Film Festival. She is also a produced playwright and published author. As a writer ‘slash’ director, Kathy’s films have screened at numerous festivals, receiving two Golden Sheaf nominations and a Leo award nomination. Her scripts were selected for Whistler International Film Festival’s Short Scripts Competition and twice for CityTV’s Cinecity Initiatives. “Red Letters,” a full-length original musical she co-wrote, was produced by Vancouver Asian Canadian Theatre and toured in British Columbia. Her short film “Breaking the Rules” won the Best Short Narrative award at the DisOrient Film Festival. She recently co-produced her first feature, “The Hollow Child,” a recipient of the Telefilm MicroBudget fund. With over 18 years of experience in the software technology industry, Regina is skilled in digital branding, client development, project management, product analysis and the development of service solutions. She is an operating partner of HyBird Media Group, and responsible for corporate development, investment strategies and cross-cultural PR and media relations for start-up and enterprise technology companies and the implementation of digital branding and development strategies targeting North America and Asia. 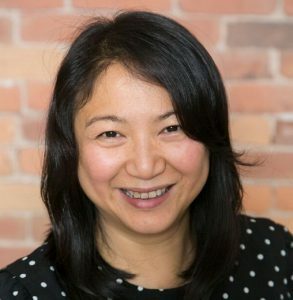 She is also passionate about several non-profit organizations and is currently Fundraising Advisor for the Dog Rescue Group, and involved with PR/Media Relations for Vancouver Asian Film Festival. 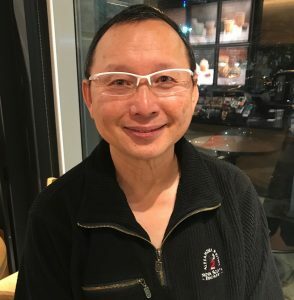 After retiring from his career in finance and business, Bon co-founded ARC (Acts of Random Care) Works as a company that has gravitated towards celebrating experimentation in Theatre and Performance Art creations. To make his art, he frequently employs out-of-the-box and evolved concepts that stem from his Computer and Electronic Music degree earned at SFU. He has produced his original works in Vancouver and also in Asia where he has recently created Performance Art projects in both Hong Kong and Vietnam. Bon places an importance in art that is both progressive and lucid to the audience with a storytelling element. He also holds a firm belief in a connective spirit for artists and supports several local community arts projects through ARC aka Acts of Random Care.